Joyce first joined the Youth Band as Contest Secretary and then moved to being a tutor for the learners group which is now the Junior Band. 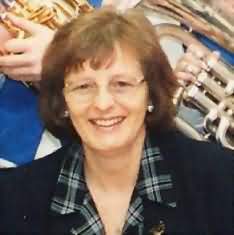 Joyce has been involved in the Youth Band for over 30 years and is one of the main developers of the organisation. Most of the Youth Band today first started off in "Joyce's band" as it was affectionately known.